With the warm weather of spring finally reaching NH, more motorcyclists are expected to hit the roads . Unfortunately, with the increase in motorcycle traffic, comes an increased risk of accidents, said New Hampshire motorcycle attorney John Tenn of Tenn And Tenn, P.A. Warm spring weather brings an influx of bikers to the roadways of NH, and unfortunately, multiple crashes. This year, we have already seen too many serious motorcycle injuries and fatalities. Nashua resident Alan Monas Jr., 26, died when he lost control of his bike and crashed on I-293 in Manchester. According to the Nashua Telegraph (4.5.13), the cause of the crash is still being investigated. In Newmarket, Michael Kashian, 30, sustained serious head trauma when the 1979 Harley-Davidson Sportster he was riding went down for unknown reasons. The 517-pound motorcycle fell on Kashian and pinned him on the road, reported SeacoastOnline (4.1.13). National statistics reveal that motorcyclists are 30 times more likely to be killed in collisions than automobile occupants, according to the U.S. Department of Transportation’s National Highway Traffic Safety Administration (NHTSA). 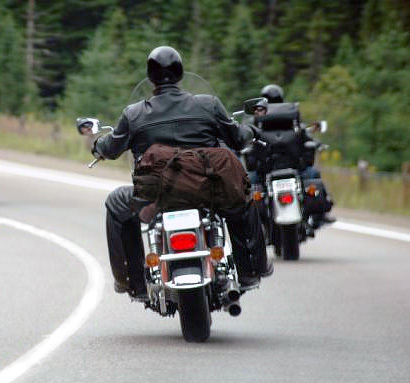 The chance of serious injury or death in a motorcycle accident is higher because riders are more exposed. 1) Wear good protective clothing, in addition to a helmet. 2) Check the tires, controls, lights, turn signals, horn, brakes and other parts of your motorcycle before heading out onto the road. 3) Check the fuel, oil and, if the bike is liquid-cooled, the coolant levels. 4) Ride defensively, and always stay alert, especially in early spring. Other motorists are not used to looking for motorcycles so early after a long winter. 5) Beware of critical rain hazards. These include slick concrete surfaces, painted road lines, manhole covers, railroad tracks, grated bridge crossings, puddles and pot holes. 6) Never ride under the influence of drugs or alcohol. According to the NHTSA, 4,502 motorcyclists were killed in traffic accidents in 2010. Of that number, 26 rider deaths happened in the state of New Hampshire. “Enjoy the nice spring weather, and ride safe,” said Attorney Tenn.
Tenn And Tenn, P.A. provides legal representation for clients involved in New Hampshire personal injury cases, family law and divorce matters, and criminal cases including drivers accused of driving under the influence of alcohol or drugs. The NH Motorcycle Lawyers at Tenn And Tenn, P.A. can be contacted at (603) 624-0028. The law office is located at 16 High St., Suite 3 Manchester, New Hampshire 03101.